A six-step guide to planning a Taiwan cycling tour itinerary. All the tips and tricks you need for cycling Taiwan. It probably comes as no surprise that Taiwan is a nation of cyclists. In Taipei, you always have to take care because the sidewalks are often used by both pedestrians and cyclists. Even more popular are the riverside trails, which make it possible to enjoy greenery and fresh air even inside this bustling metropolis. Cycling in Taiwan is really popular. But it’s not just Taipei – when cycling Taiwan you can experience more of the countryside and some of the national parks as well. 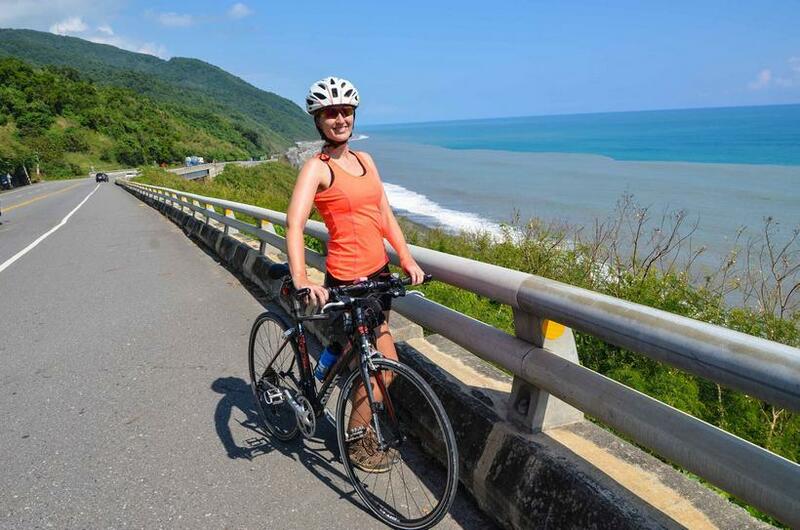 The most popular of Taiwan’s cycling routes are located along the wild and still practically untouched East Coast. The amazing scenery is definitely one of the reasons to go on Taiwan cycling tour. 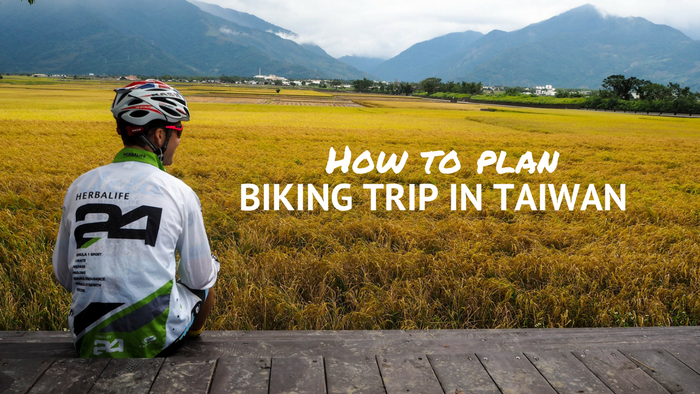 With this guide, you will be able to plan Taiwan bike tour completely on your own. Unless you are in the country already, you can use my favorite tool Kiwi.com to find you flight. Taiwan is an easy country to travel and get around in. Yet, if you plan to do cycling in Taiwan, there are some things you should know. Good planning saves time. I wrote this guide so that you can plan your own trip more efficiently. When it comes to cycling Taiwan, there are lots of places you could go. You can get up-to-date information from local bike shops or from local cyclists who share information online. A handful of trips are described on the blog Taiwan in Cycles. There is also a free eBook focused on cycling in Taipei. First, you will have to decide how far you want to cycle in a day. Just because you are able to do 100 kilometers a day, doesn’t mean that you should. Taiwan offers quite a lot of places to visit and focusing only on the distance could be a huge mistake. My advice is: include some time to wander around and be spontaneous. Cycling around Taiwan is an extremely popular thing to do among locals – some enthusiasts even repeat their round-island circuit every year. Such a trip takes anywhere from 5 to 12 days to complete. I personally did it in 9 days and it was the biggest tour for me (900 kilometers). If you have less time, I recommend venturing to the east coast of the country, away from the bustling cities of the west. There are vast expanses of unspoiled nature and it’s much more relaxing. I always come back to this part of the country – the East Rift Valley is by far my favorite place to cycle. Also, keep in mind that Taiwan is quite a mountainous island. The Central Mountain Range traverses the island from north to south with nearly 300 peaks that are 3000 meters above sea level or higher. So if you dislike steep ascents (like I do J), it is good idea to stick to the coast. Make sure that your bike is equipped with lights and reflectors. Sometimes, you will have to travel through mountain tunnels, so a light is a good way to let cars know you are there. When planning your trip, take the climate into consideration. The season makes a big difference in Taiwan. Summers are ultra humid and hot (with temperatures hovering around the low to mid-30s) and therefore are not really suitable for many outdoor activities, unless you really think you can handle these extreme conditions. 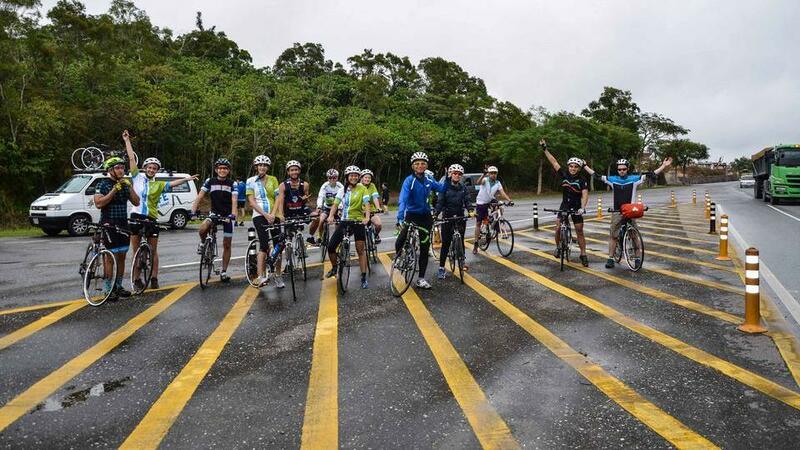 The best period for cycling Taiwan is autumn and winter, with the most favorable weather from October to February. The average temperature in winter ranges from 15 to 20°C across the island. The north is usually several degrees colder and wetter than the tropical south. Spring is also good, but the plum monsoon can bring more rain in late spring, and you might want to avoid Chinese New Year, when half the country seems to be on the roads. I cycled around Taiwan in November and the weather was prefect. But keep in mind, it is not uncommon to encounter some rain on the way in any season. So it is good to bring a rain jacket (or get one from 7/11). The next step is to get your hands on a good old-fashioned paper map and plan your route. Google maps often doesn’t offer a biking option between various places in Taiwan. Nevertheless, it’s still a helpful tool to learn about the distances, but a good paper map is still a must-have. Taiwan offers some great infrastructure for cyclists. Many larger highways feature a wide bicycle lane. But beware that it is often shared with motorcycles and scooters, so one still has to watch out. The smaller country roads feature no separate cycling path, but the traffic is in many cases rather sparse. Biking in Taiwan is quite safe, yet there is one dangerous spot that I would personally avoid, which is the scenic but narrow highway between Jiaoxi and Hualien. Cycling it is not a good idea since the traffic is heavy and you would have to compete for limited space with many big trucks, whose drivers tend to be rather aggressive. It gets really crazy, especially at the weekend. Be smart and take the train instead. Nights can be spent in hotels, hostels, local B&Bs or campsites. The last possibility might not sound too glamorous, yet it is great way to spend time in nature and still have access to showers and electricity. You can even spend a night inside the legendary Taroko Gorge – in Lyushui Heliu Campground, where you only need to pay 200 NTD per night to place your tent. Especially along the East Coast you can always find a place to stay, but people might not always speak English so fluently. I recommend booking with Airbnb, since you still get the local experience but keep the option book online. I am giving away $40 in Airbnb credit – you can get it here. At the beginning and it the end of the trip you will probably have to spend some nights in Taipei. I have special post dedicated to Best hostels in Taipei. With small supermarkets every few kilometers, there is no need to haul along many supplies. Taiwan’s ubiquitous 7/11s, as well as the almost as common-to-see Family Marts, effectively serve as places to get water, snacks, withdraw money from ATM, grab a beer at the end of the day, and more. Most of them also feature public toilets. Once you start actually packing for your trip, make sure to get the right clothes and equipment. It really makes a big difference. It can be good idea to get those in the capital – there are lot of outdoor supplies shops in Taipei. If you don’t like wasting time shopping around town, my recommendation is to head to Taipei Main station. The intersection of Zhong Shan North Road and Zhong Xiao East Road features several shops with supplies meeting various budgets. To get an idea of what you may or may not want to take with you, I’ve provided a sample packing list. The most important item are the cycling shorts with a decent chamois pad- these can really save your life (well, mainly your bum!). A good 3-pocket Jersey is also a nice item to have on you while cycling Taiwan. If you decide on camping and carrying your things with you, get panniers and cycling bags to fit it all into. But try to not to fill them entirely just because you can. STEP 6: HIT THE ROAD! You should be pretty much ready to set off now! If you want to bring your own bike into the country, you can. Otherwise, Taiwan offers a lot of bicycle rentals. The best option for multiple day trips is Giant – a quality bike will cost you 1200 NTD for three days. For any extra day, you pay 200 NTD. If you would like to find some company for your trip or ask particular questions about Taiwan, they are plenty of expat groups on Facebook. Quite a few foreigners live in Taiwan and they like to enjoy outdoor pursuits around the island on the weekend. If you still aren’t totally sure where you want to go, I recommend cycling around Taipei first. There are quite a lot of awesome riverside trails where you can enjoy your time on two wheels and still have the comforts of the big city nearby. HAVE YOU EVER GONE ON A MULTIPLE-DAY CYCLING TRIP? 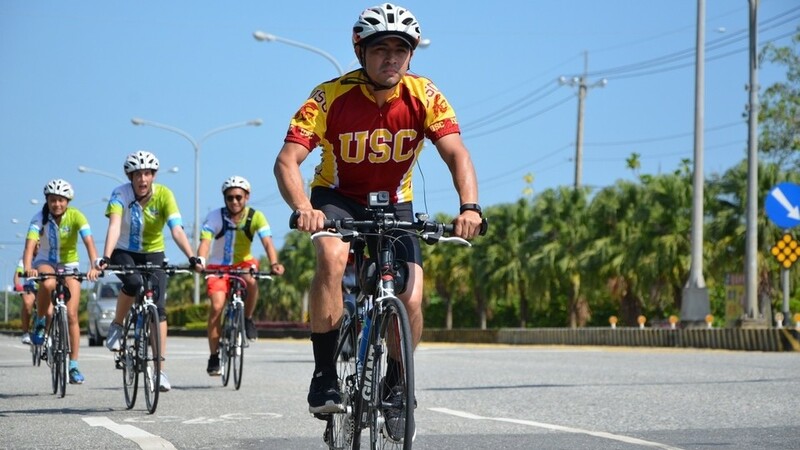 Cycling seems to be one of those sports that everybody can do – as long as you’ve got a bike, you can just follow your own pace and enjoy the scenery. Have you ever gone on a cycling trip for more than just one day? If not, would you like to try it one day? Thanks for reading. If you like the article, please share it on Facebook. My trip was in partnership with the Taiwan Tourism Bureau. I love cycling so this article was really interesting. 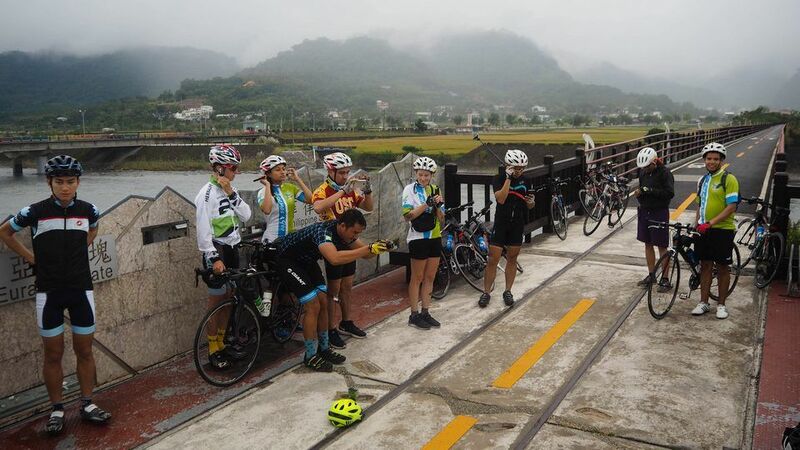 You mention that the section between Jiaoxi and Hualien is dangerous to cycle and that it’s better to go by train – presumably bikes are allowed on the trains, do you need to book? I’ve heard that there’s a huge lake you can cycle around somewhere in Taiwan, is that somewhere that you went too? For such as short section there is no need to book the train – you will always get your ticket. That lake that you mention is Sun Moon Lake in central Taiwan. 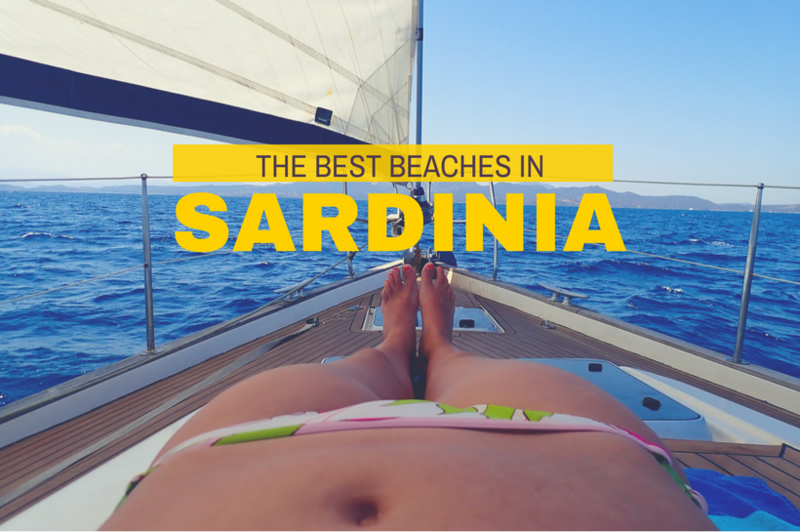 Another great place to visit! I’ve never been on a multi-day cycling trip, but it does look like a lot of fun! 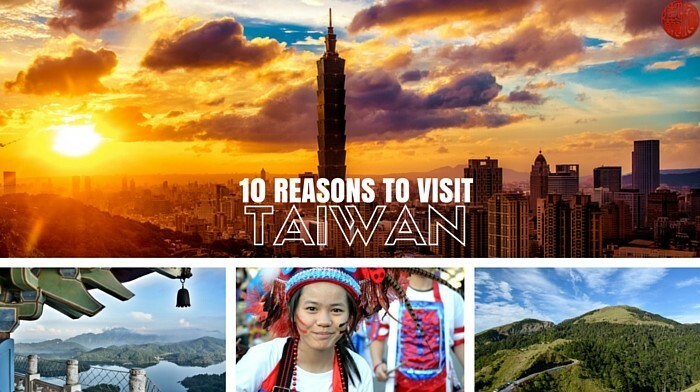 Taiwan looks like a great place to give it a try. Thanks for the tips and recommendations–it’s always great to see packing lists, too! I always struggle with knowing what to bring! Very well detailed guide to biking there. Not a big fan of biking but those who do will surely find this useful. It doess look like a fun activity that helps in bonding. When I used to live in Canada, every summer would see the local hostel full of bikers touring across the country. It strikes me as a fantastic way to explore, keep your travel costs low and be low-impact on the environment. Canada bust be great four outdoors as well! This looks like a great way to see a different side of a destination. I’ve never been on a multi-day cycle trip and so I would have make sure my first one was in a flat-ish country to give myself a good chance of getting through it! Taiwan looks great though, and love that you don’t have to take a lot of supplies with the availability of 7/11s an Family Marts. Great information. I haven’t been to Taiwan but I am a fan of cycling wherever I go. I read a few books about the people cycle around the world, but none of them have been to Taiwan. Your piece encourage me to do it there. It makes me happy that this inspired you! This looks like a great way to explore a country. I have never done a multi day cycling trip – only ever hired a bike to travel around…but this sure does sound so much better and well, helps with being fit on the road too eh? 🙂 yay! Yeah it made me fit – needless to say, I was not fully prepared to what is going to happen. I wrote a similar bike guide for Paris and it is great to see that biking is also popular on the other side of the world. I’ve never done multi day trips like you but I enjoy day trips in Paris and surroundings from time to time. Taiwan roads are always flat? My right knee does not stand big slopes any more . .
Taiwan is actually really mountainous, but as long as you stick to the coast, you can do it! True:) I think I would not make the distance of each day otherwise. I miss you, too! 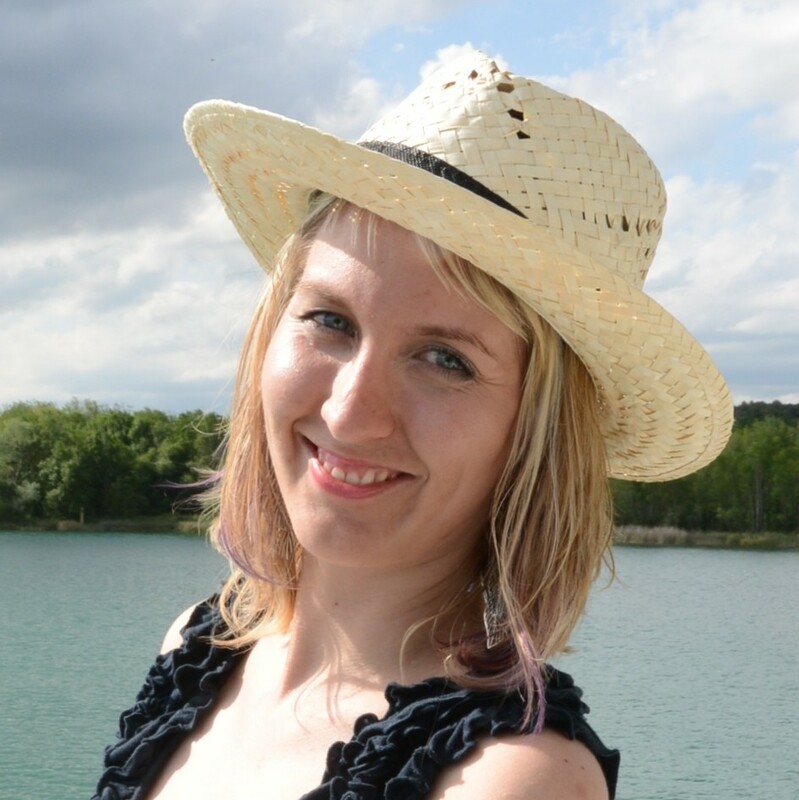 Thanks for following my trips! Wow, this article is great for anyone new to Taiwan. thanks for sharing the helpful tips so people would feel more comfortable to visit this beautiful island! Yeah, it’s true! Taiwan is such a hidden gem! This is a very useful article, Veronica! Biking is a great activity! Thanks. Great you enjoyed reading it! Lovely blog. Thanks for the tips. Do you know any guided tour companies that can take me cycling aorund Taiwan? I just did a 4 days solo bike tour starting from Taipei to Su Ao, then to Hualien in 2 days. 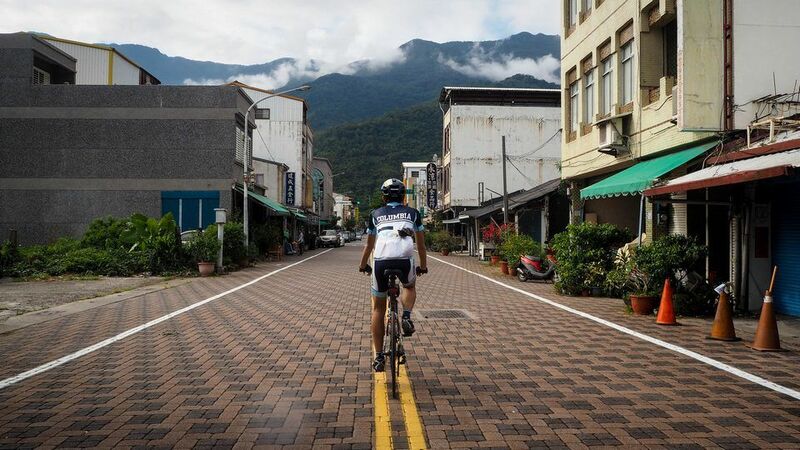 Rode across Hehuan mountain via Wuling pass at 3275 m to reach Taichung in one day and finally sprinted out from Taichung to Taipei to be back in time before an incoming typhoon. Hey 🙂 Thanks for all the informations. I am planning to go to so the loop in february. Do you have a recommendations where you can rend a bike? Did you had your own helmet and bike bags? Hey, sorry to get it touch this late. 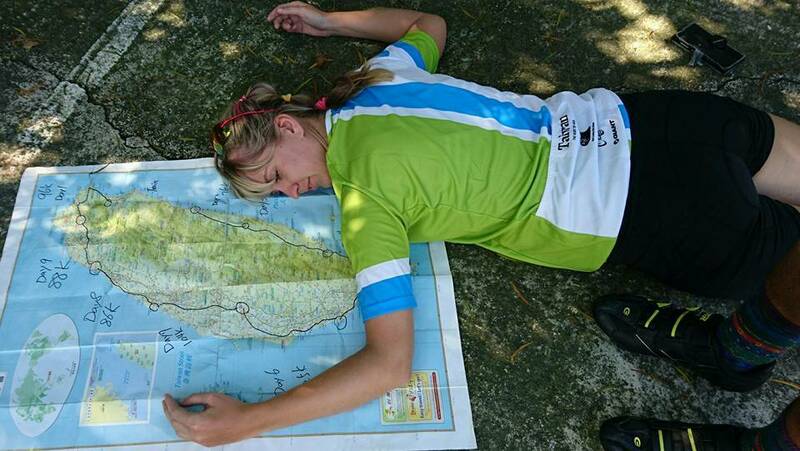 Check out my blog, there are 3 detailed cycling articles about Taiwan, including the itinerary! Great read, sounds like quite the adventure. Thinking of riding part of the east coast in March. You you have advise in regards to cycling north to south or south to north? I was cycling from noth to south all the way along the east coast and I would recommend it!